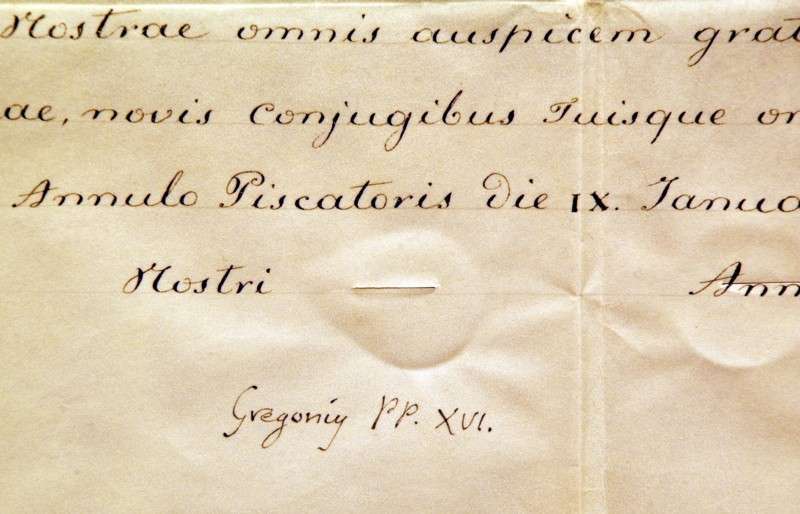 The artifact is an apostolic blessing on parchment, signed by Pope Gregory XVI, upon the marriage of the princess of Naples. 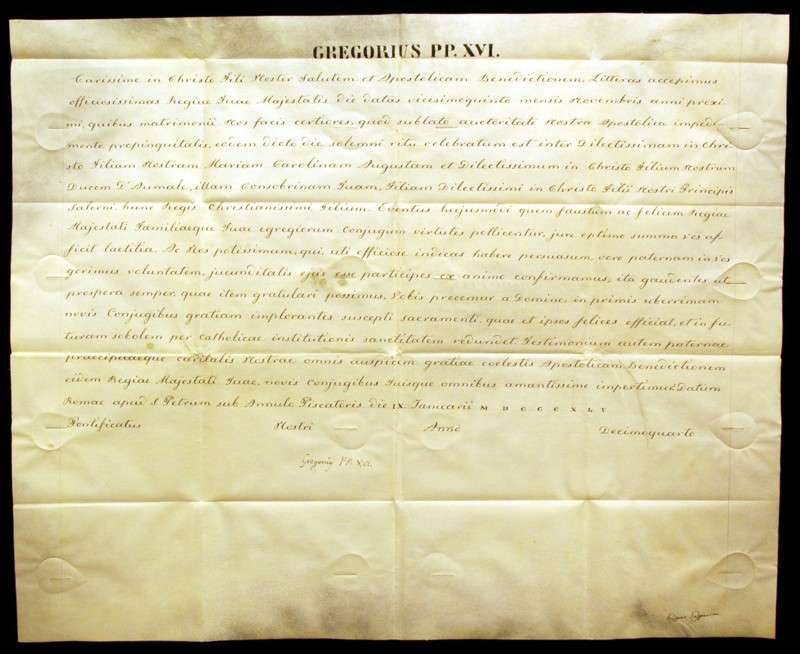 It is an impressive document signed the year before his death. 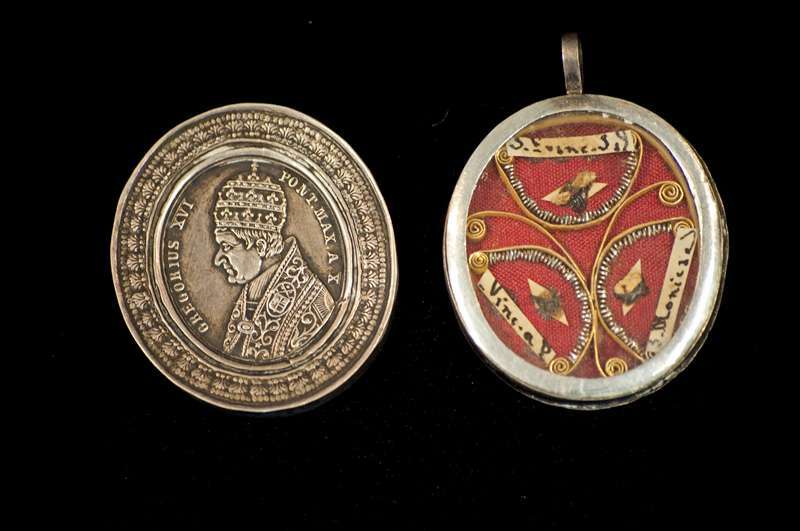 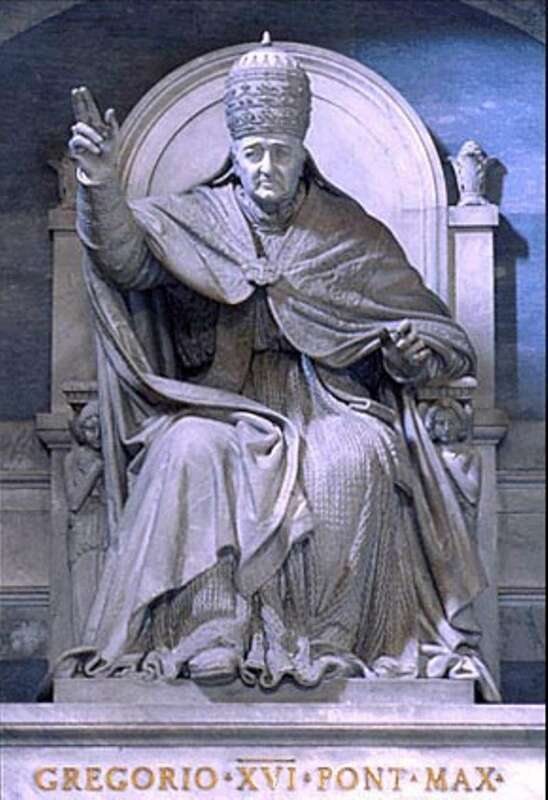 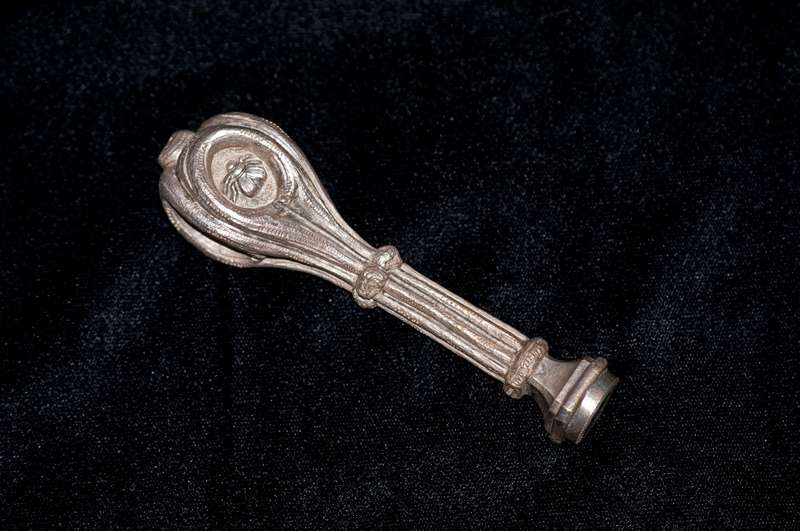 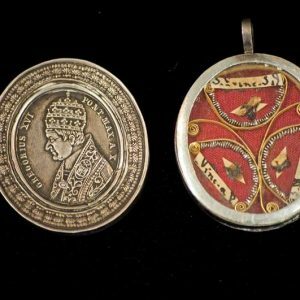 There are several artifacts belonging to or associated with Pope Gregory XVI. 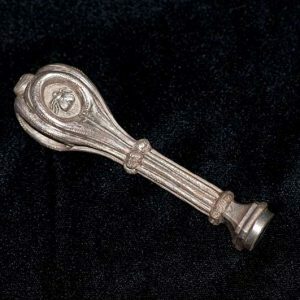 Among them is one of the rarest items in the Collection, one which shouldn’t exist. 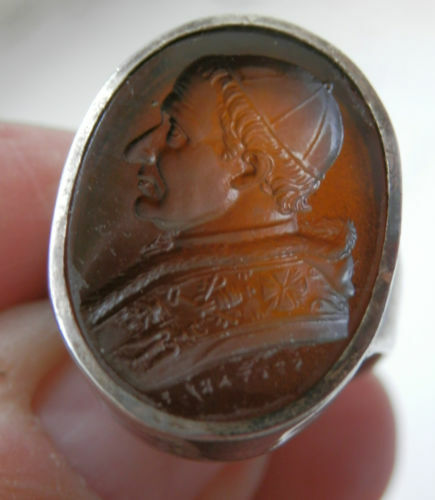 It is a papal seal, an item always destroyed upon the death of a pope, which somehow managed to escape destruction and find its way into Father Kunst’s Collection! 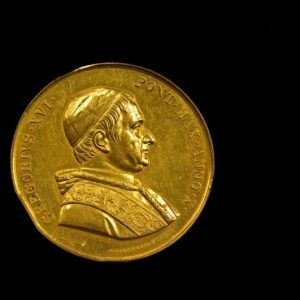 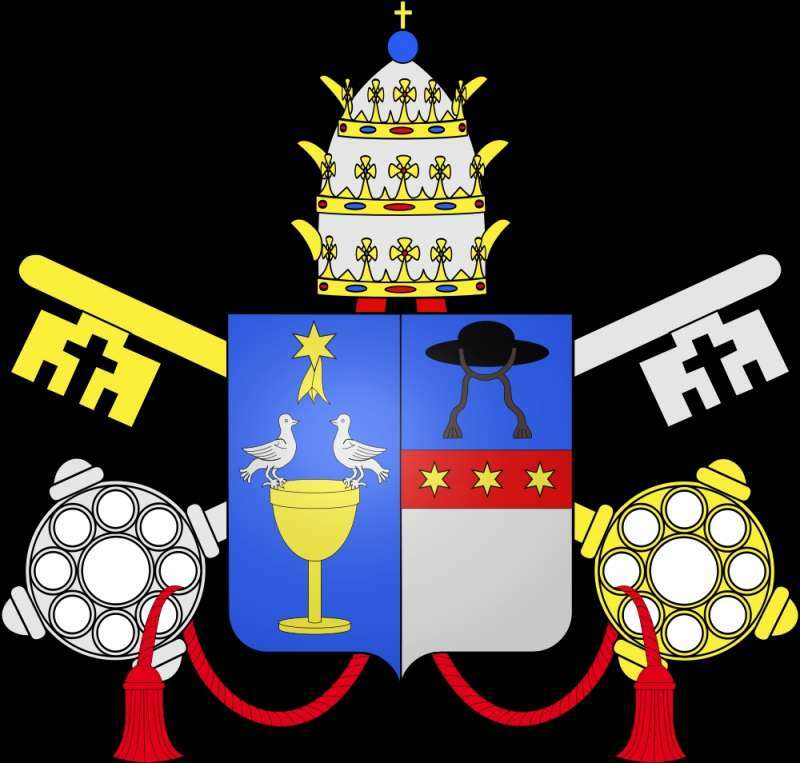 The story of its procurement is featured there: Papal Artifacts/Gregory XVI. 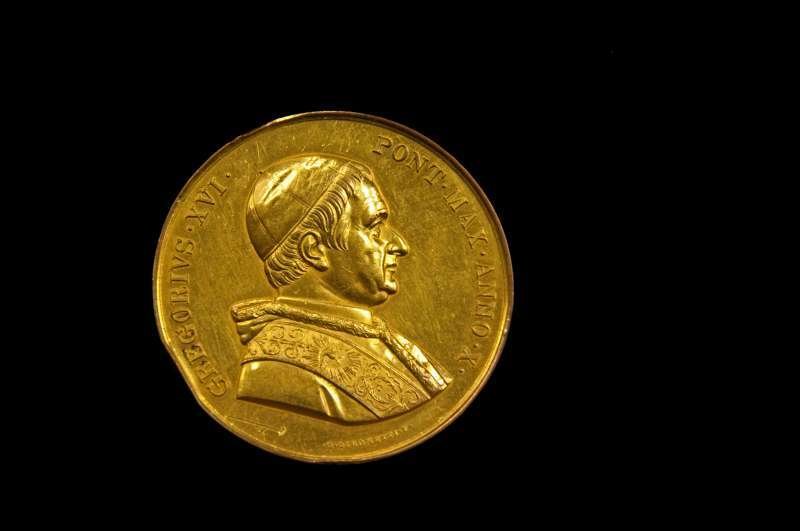 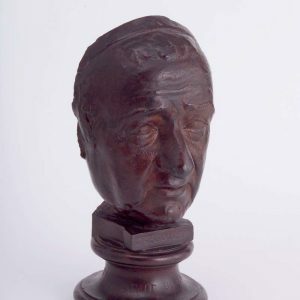 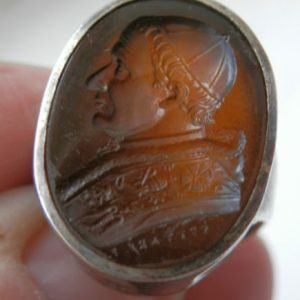 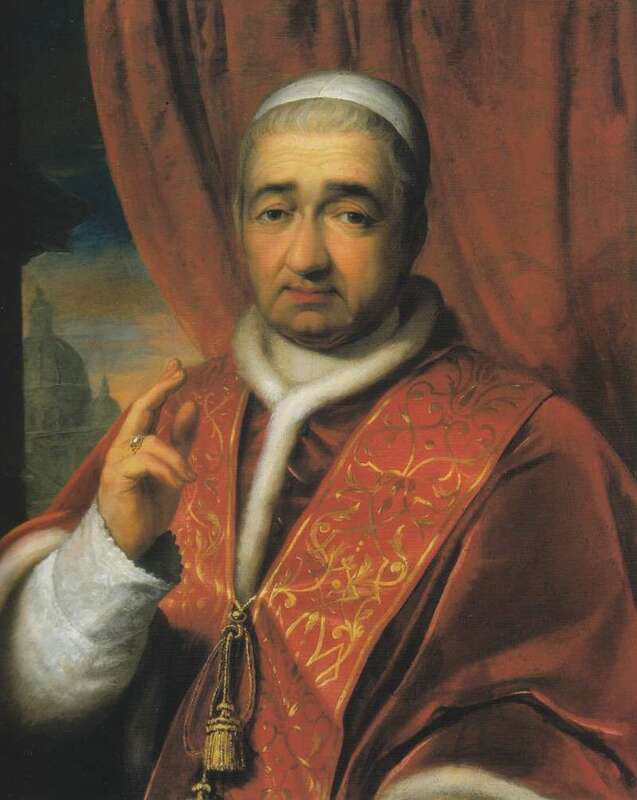 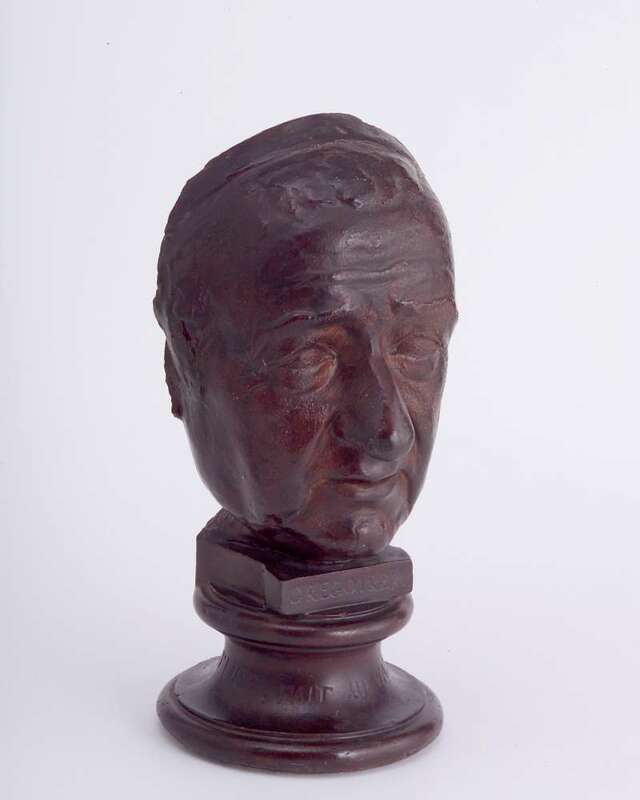 Papal Artifacts honors the memory of Pope Gregory XVI (1831-1846).